Cranial electromagnetic surgical navigation software is made for straightforward pinless cranial procedures. 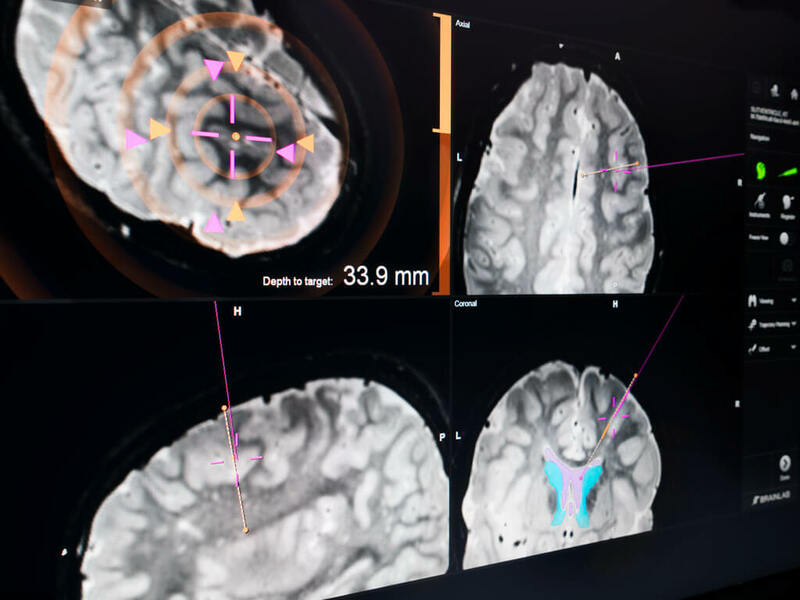 The articulated arm of the Brainlab electromagnetic (EM) navigation system allows for optimal placement of the field generator near the patient’s head. 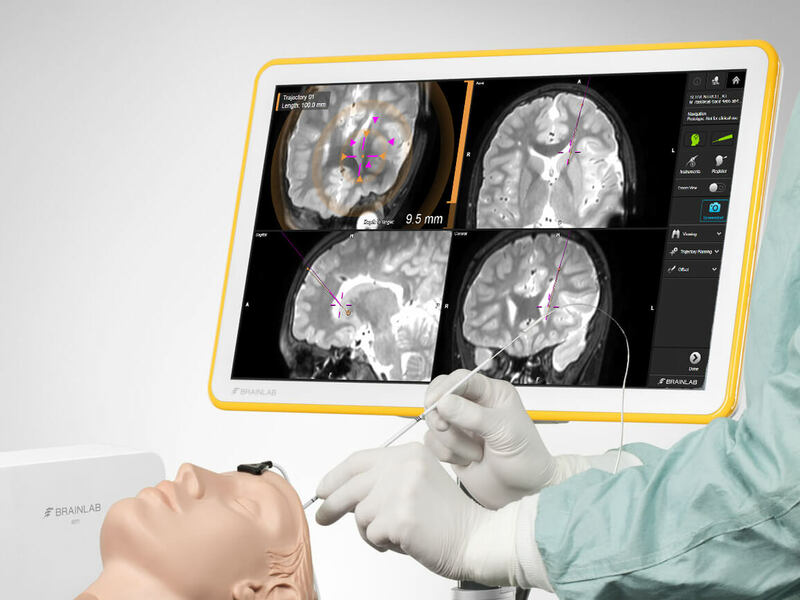 A full high-definition drapable touch display provides visual guidance during the procedure. Step-by-step animated workflows guide the user through the system setup and procedure. A small patient reference can easily be taped or single-screw mounted anywhere on the skull where skin shift is unlikely. Cranial EM software offers a precise, workflow-guided process for registering the patient with the system. Registration is done by quickly locating three predefined landmarks and freely selecting additional surface points on the skin with the unsterile registration pointer. The system automatically matches the patient’s anatomy to the loaded patient data. Kick EM Cranial is designed for complete touchscreen-free control with its integrated remote control. With a click, surgeons can freeze the screen, take a screenshot, or acquire a trajectory. This unique method of trajectory planning with the pointer in the sterile field is particularly helpful for shunt placement. 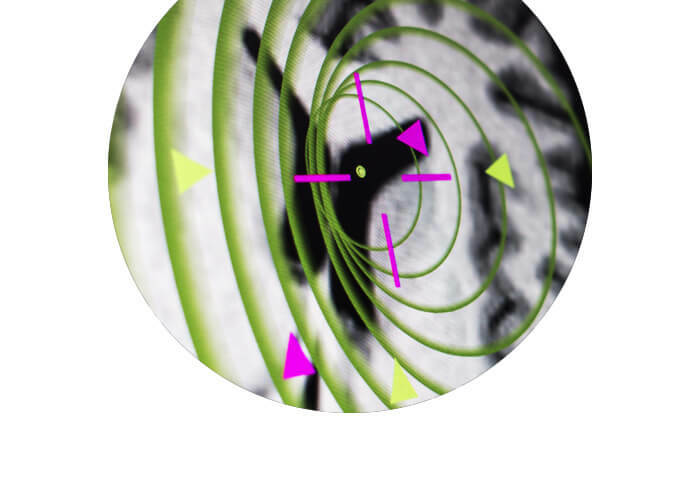 The entry point is defined by the pointer tip with the trajectory created automatically along the pointer axis and adjusted by clicking until the surgical target is reached. 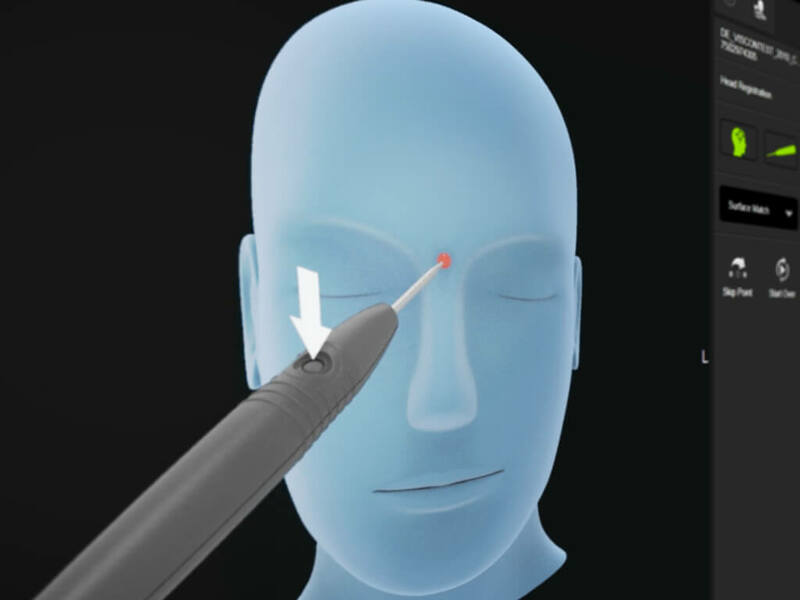 The new, automatic Autopilot view helps the surgeon to align the tip-tracked stylet and hit the target. 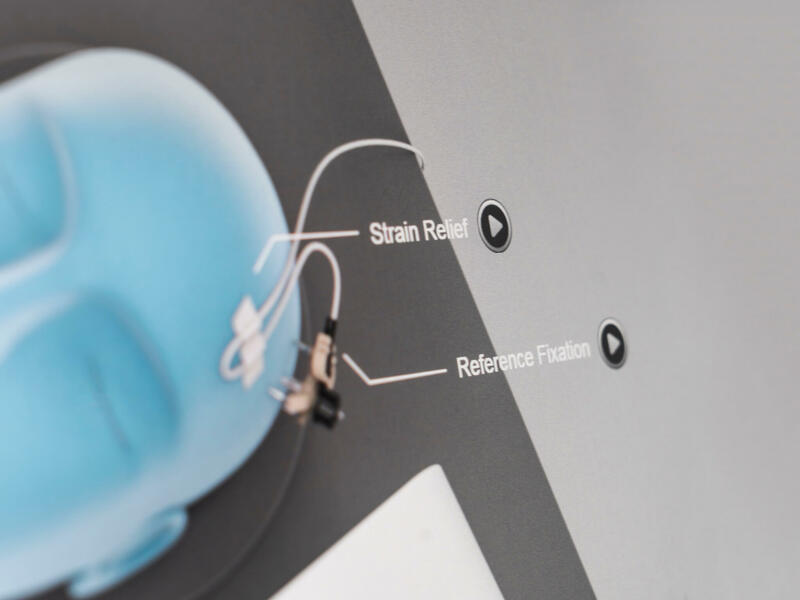 The Brainlab EM Disposable Stylet is designed for the navigated placement of shunts or ventricular catheters in neurosurgery, enabling their quick and easy freehand placement. The incorporated sensor is automatically recognized by the navigation field generator, allowing for immediate tracking.